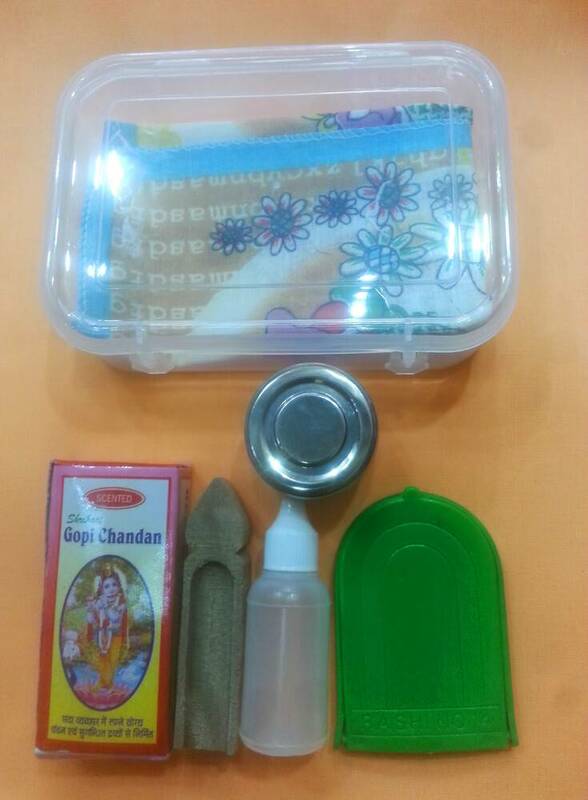 Very handy pocket tilak kit. Perfect for traveling. 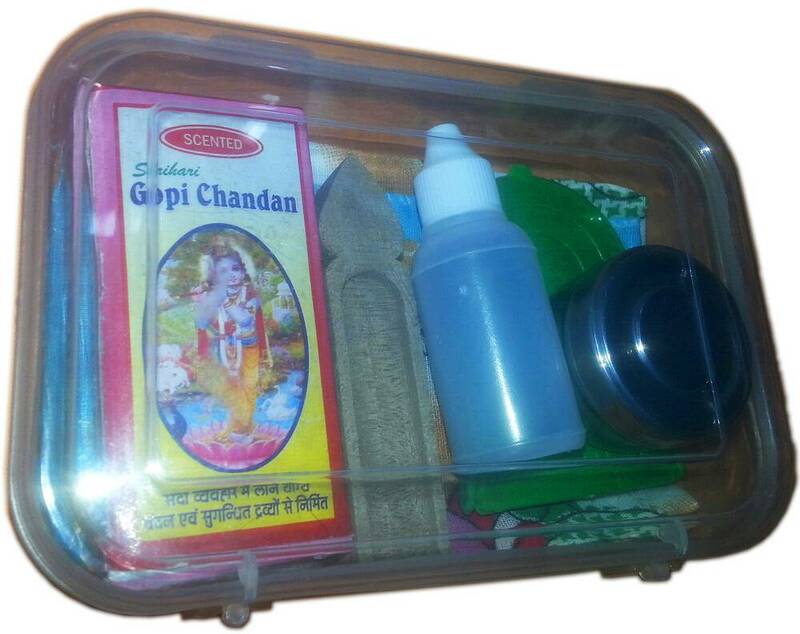 Contains tilak, mirror, water bottle, tilak stamp, stainless steel mixing container and handkerchief. All in a handy small plastic box. 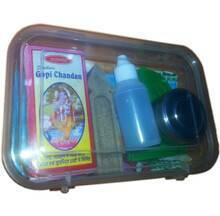 Now it is very easy to apply your tilak anywhere with this very practical pocket tilak kit. 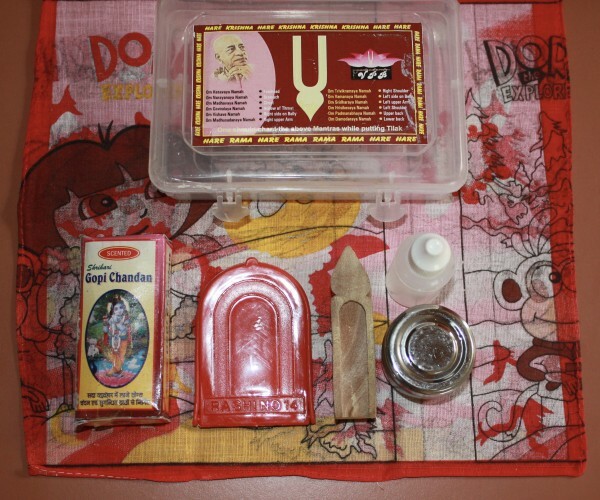 What's inside the pocket tilak kit?